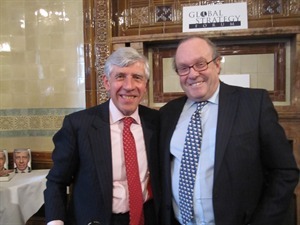 On Tuesday 16th October 2012, GSF Advisory Board member, the Rt Hon Jack Straw MP opened our 2012-2013 events programme, drawing on his autobiography, Last Man Standing: Memoirs of a Political Survivor. The former Foreign Secretary (2001-2006) Jack Straw MP gave a lecture entitled: ‘Last Man Standing: The Foreign Office Years’, drawing from his autobiography, Last Man Standing: Memoirs of a Political Survivor. To listen to Jack Straw’s lecture, click here.